Portugal has a long history having recorded civilizations as early as the 7th century BC. The Romans occupied the region for more than 250 years, followed by the Arabs and Berbers from North Africa. In 1147, the Muslims were expelled by the Christians, and by 1256, Lisbon became the capital of the kingdom of Portugal. Great explorers like Vasco de Gama and Magellan once called Lisbon home. Portugal is surrounded by the Atlantic on the south and west and Spain on the north and east. In 1986 Portugal joined the EU and quickly modernized as a European travel destination. 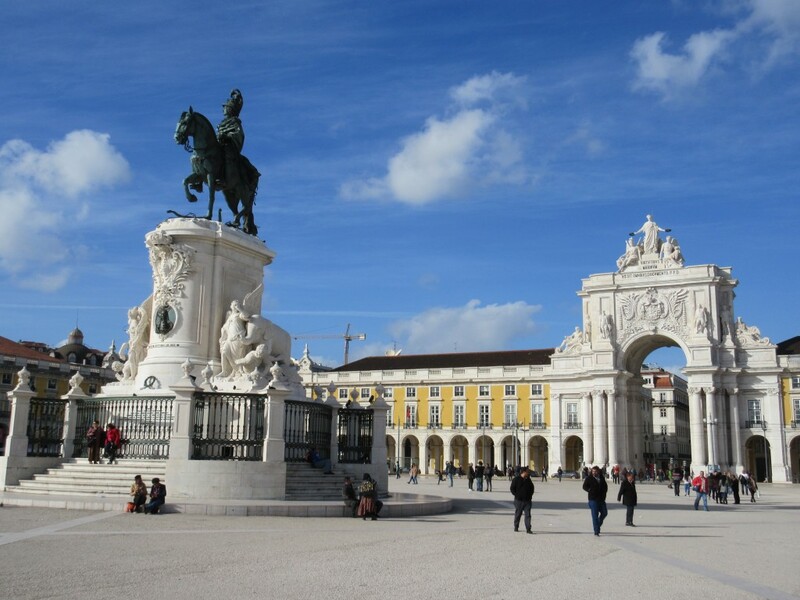 Today Lisbon is the capital and largest city in Portugal with a population of 550,000 people. The entire metropolitan area comprises about 2.8 million people. This morning our dear friends Brenda and Cory greeted us at the ship. Brenda was a high school classmate of Kent’s in Charleston, Illinois. Brenda and Cory moved from California to Portugal about two years ago and now live in southwestern Portugal along the Algarve coast. We found a small coffee shop where we could sit and catch up over a cup of coffee. 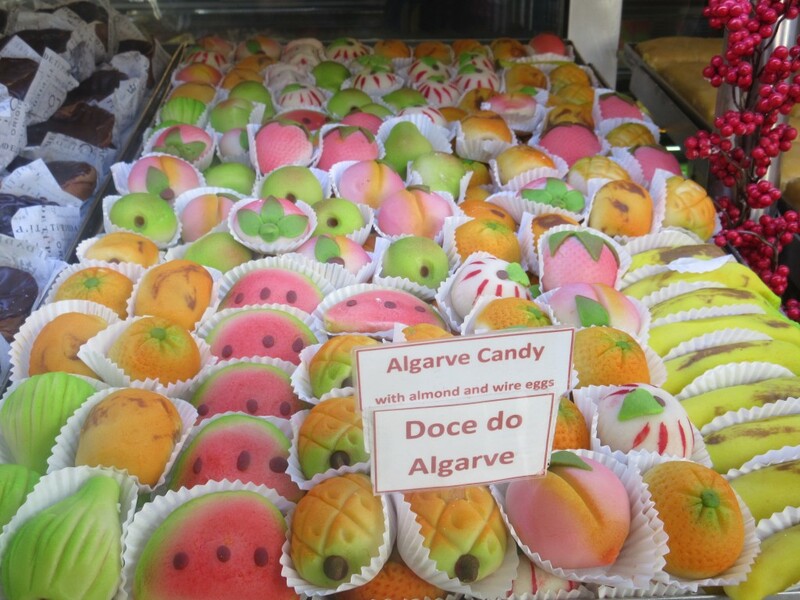 As we wandered the hillside alleys of the Alfama district we sampled the locals’ favorite sweet, the egg custard tart (Pasteis de Nada). Small flaky pastry shells filled with an egg custard and sprinkled with powdered sugar and cinnamon. The Alfama district is an area of the city that survived a devastating earthquake, tsunami and subsequent fire in 1755 that killed an estimated 30,000 residents. 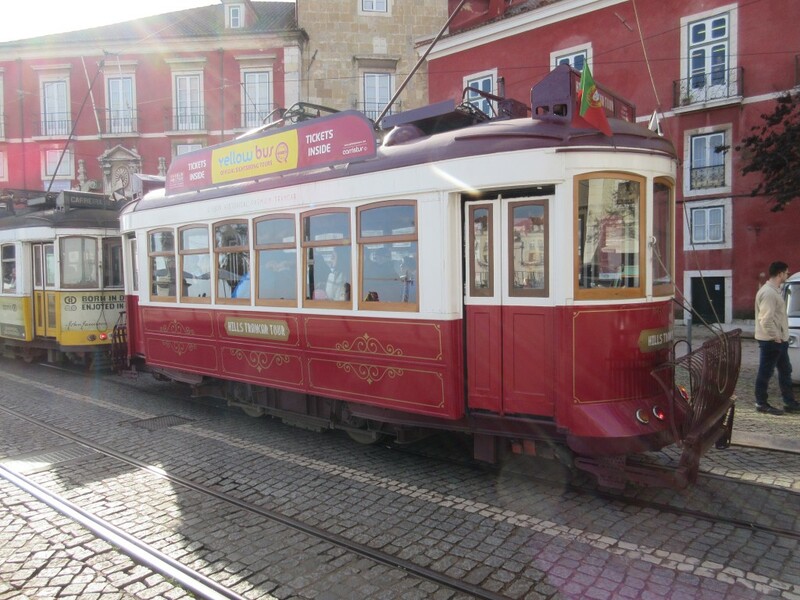 We took the local cable car on route 28 (a tourist attraction) for a short ride around some of the seven the hills of Lisbon to have lunch at one of Brenda and Cory’s favorite Italian restaurant. After lunch we walked some of the local shopping avenues (Rua Augusta, just behind the Arco de Rua Augusta) and explored a large cathedral, The Church of Santa Maria Maior. 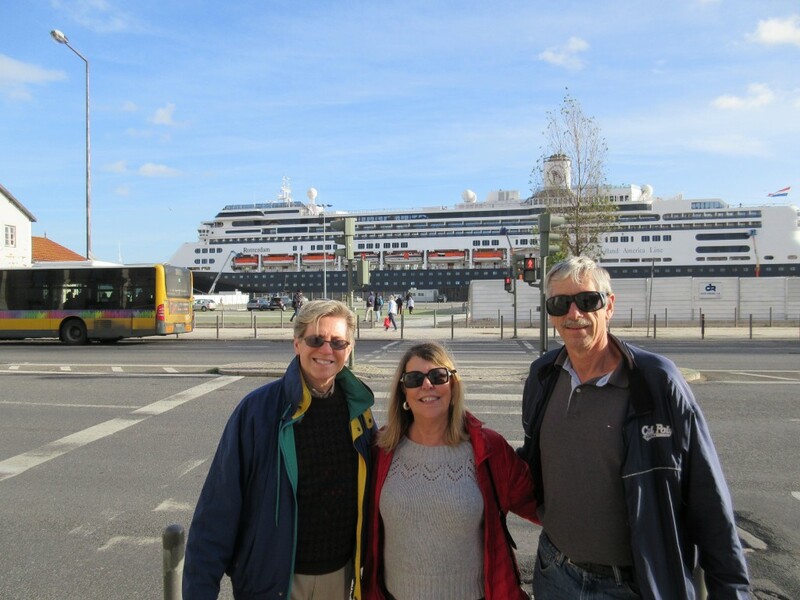 We joined Kathy Spicher (2013 World Cruise) and her traveling friend, Carol, for drinks in the Crow’s Nest and guide commentary as we sailed from Lisbon. Dinner in the main dining room with Tom Marcantonio and Joakim (pilot from Sweden living in Berlin) was followed by a performance of a group of five Ukulele-playing young men from Liverpool. They sing, as well as play, five totally different types of Ukulele’s. We had seen them on another cruise and we enjoyed their performance once again.